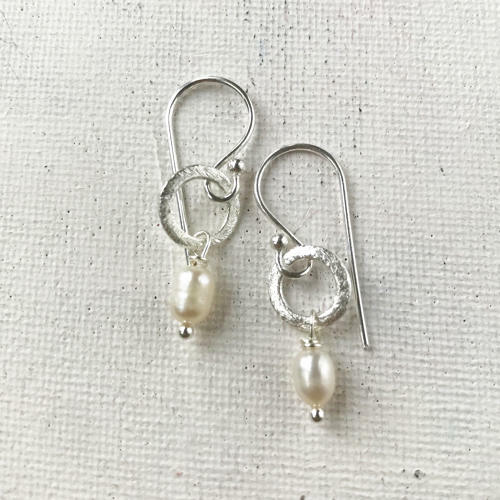 Dainty freshwater rice pearls on silver plated etched circles and wires. Length 3cms. Designed and hand made in England.